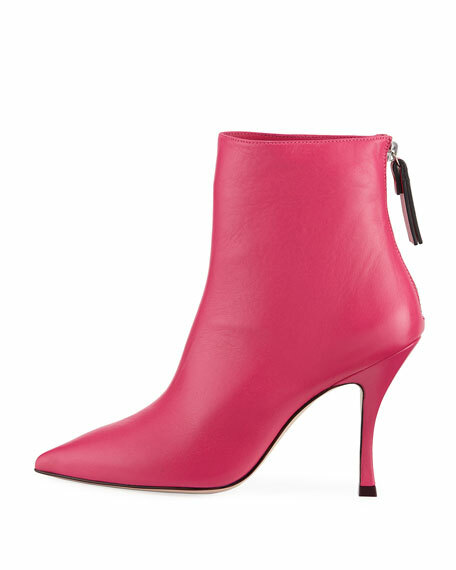 Stuart Weitzman "Juniper" ankle boot in soft lamb leather. Shaft, approx. 4.5"H with 9.8" opening. Melding fashion, function, and fit, Stuart Weitzman shoes are designed to make a woman feel beautiful—on her own terms. The Stuart Weitzman collection runs the gamut from glamorous evening heels to flats for day, and every design is created with attention to detail by skilled craftsmen in Elda, Spain. For in-store inquiries, use sku #2642337.